A collateral charge is a method of securing a mortgage or loan against your property. Unlike a standard mortgage, a collateral charge is readvanceable — That means the lender can lend you more money after closing without you needing to refinance and pay a lawyer. A collateral charge is non-transferable — It cannot be assigned (switched) to a new lender like a regular mortgage. In addition, regular mortgages put their key terms in a document that’s registered with your provincial land title/registry office. A collateral mortgage, however, puts key terms in a loan agreement which is not registered in the same way. In turn, that collateral loan agreement may contain terms that other lenders are not aware of, or find objectionable. For that and other reasons, lenders don’t typically accept transfers from borrowers with collateral charges. 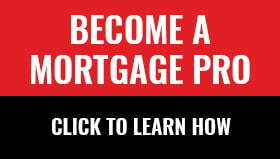 Instead, the borrower must refinance in order to switch lenders, and that entails legal costs. Sometimes, collateral charges also allow your lender to do things like change your interest rate, increase your loan amount, and use your mortgage payment to pay down other debts you have with that lender (if you default on those debts). If you’re considering a collateral charge, have a mortgage planner explain the pros and cons before you jump in.